We Bring You Our A-Game. Always. Be ready. Our team gets pretty excited about everything — from the way a Passiflora quadrangularis transforms a pergola into a jeweled canopy to a rainforest-styled estate brimming with bromeliads and elaborate water features. And that’s just our design side. What rocks our maintenance team is seeing a lawn so tight you could bounce a coin off it. Beds are edged. Shrubs look just right. The entire landscape looks nice and healthy. Our companywide passion for what we do attracts the best-skilled teams in the area because good people want to work for a good company. And it shows. 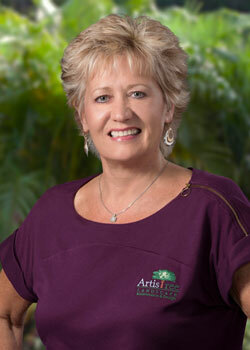 ArtisTree never wavers from doing the right thing or giving you our best. 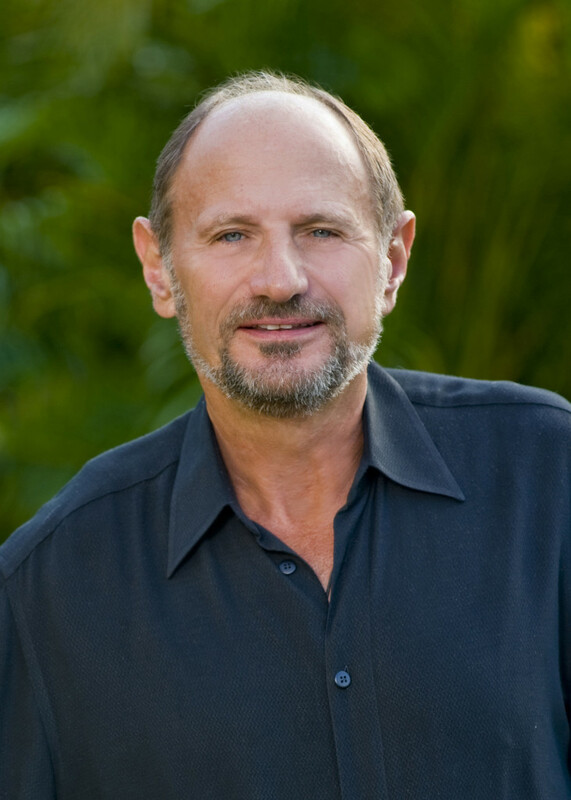 After a successful career spanning from finance to fashion, Joe Gonzalez began a new life in 1990 and bought a small landscape company in Venice, FL. 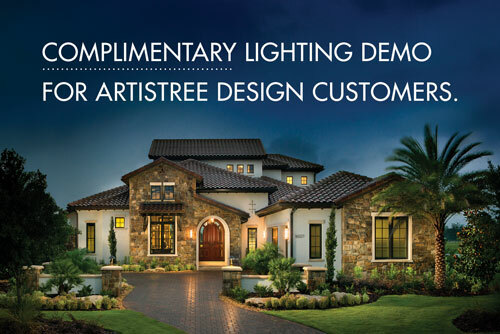 His laser focus on integrity, honesty and customer service has made ArtisTree a multi-million-dollar company serving luxury builders and community associations throughout Southwest Florida. What brings you the most career satisfaction? The knowledge that my business supports so many people and their families. My passion is waking up every day feeling good about my business. Frank Fistner is one of ArtisTree’s original employees and became a partner in the company in 2003. There’s not a community or development around that he isn’t familiar with, and his long-time knowledge of every aspect of the business (not to mention his amazing recall with names and numbers) makes him our top relationship-builder. What amazing accomplishment did you achieve before age 10? I won a silver medal at the Junior Olympics for wrestling. What has been your proudest moment up until now? The birth of my son, Matthew. If you could attend any sporting event in the world, what would it be? The Masters. Hailing from Texas, Debra Morrow brings ArtisTree more than 20 years of experience in brand development, advertising, creative direction, agency management, marketing and consulting for national and international clients. What has been your proudest moment up until now? Being asked to give the commencement speech at Texas Wesleyan University. If you had a warning label, what would it say? Caution: May bubble over. 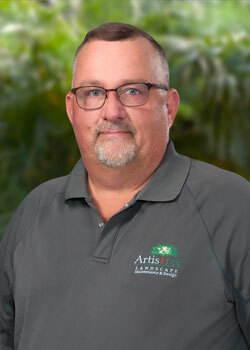 Florida native Bill Walters, a veteran law enforcement officer and outdoor aficionado, leads ArtisTree’s Maintenance Division team after overseeing multiple internal departments. His management abilities play a significant role in retaining and attracting long-term maintenance clients. What’s your favorite vacation? Any golfing trip that I get to take out of town. What is your proudest moment up to now? Raising an outstanding young man, my son Bo, with my wife is my proudest moment. He is the pride of my life. 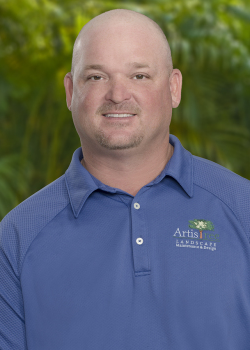 Jeremy Lepper brings ArtisTree clients more than 14 years of experience in comprehensive estate maintenance and landscaping. His love of the outdoors began growing up near his grandparents’ farm, after which he worked for a specialty landscape company while earning a BGS degree from Indiana University. Best part of my job is: Knowing that every day brings a new challenge–the best part of the solution is the journey. Why did you choose this line of work? I chose this industry in order to be able to live and raise a family in a part of our beautiful country where many choose to vacation or spend their retirement years. It’s hard to not take it for granted. 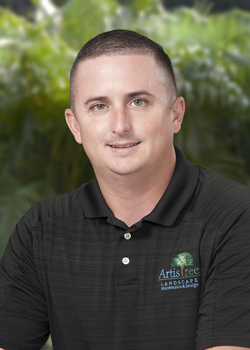 A rare Florida native, Dave Both draws his passion and appreciation for the green industry from more than 15 years of helping homeowners turn their dreams into reality. He has held positions in all facets of landscape — from foreman to estimating to management — and when not supervising crews with an expert eye, can be found consulting with customers on how to achieve the exceptional results. What hidden talent do you have? Musician. I’ve been playing guitar in bands and concerts all over Florida for more than 15 years. If you had a warning label, what would it say? Caution: Smiles and laughter ahead. Dan Drumgool’s 20-plus years in the landscaping industry includes solid experience in account management, landscape maintenance, irrigation and even outdoor lighting. His versatility also extends to his personal life, where he cooks (he’s a real chef), volunteers and spends time with his family. What amazing accomplishment did you achieve before age 10? Making the All Stars in Little League. If you had a warning label, what would it say? Eating my food could be addictive. Since 2008, Gary Murray’s desire to keep landscapes healthy and looking their best has served customers well. His extensive experience in management and leadership has developed productive teams that surpass expectations for ArtisTree’s valued communities. 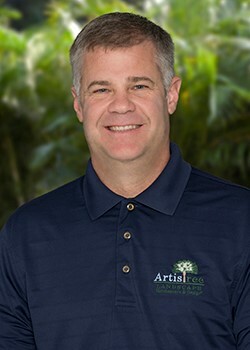 After joining ArtisTree’s Fertilizer/Pest Division in 2014, Mike Riordan earned his FCHP certification and was soon promoted to an account executive. Before that, he worked in customer service for 14 years, moving from Ohio to Florida to “find better fishing holes.” Mike’s passion is educating people on insects and plant problems. How do you feel real career satisfaction? Knowing I work for a company who gives employees the chance to advance. What’s your favorite sound? The sound of bacon in a pan. 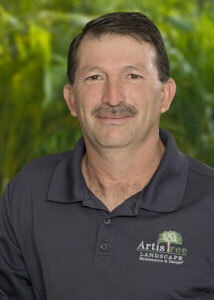 Texas native Pedro Mares is the quintessential landscape professional with more than 25 years of experience. 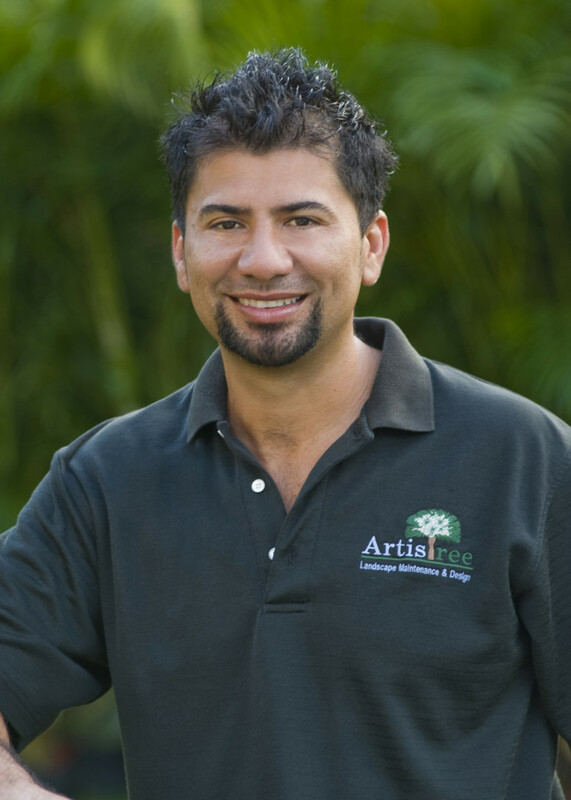 Pedro’s enthusiasm for leading his crews and giving top-level service creates the foundation for his success at ArtisTree. What is your proudest moment? The birth of my sons and becoming a grandfather. What’s a favorite vacation? Cruising to Alaska to see the majestic icebergs. 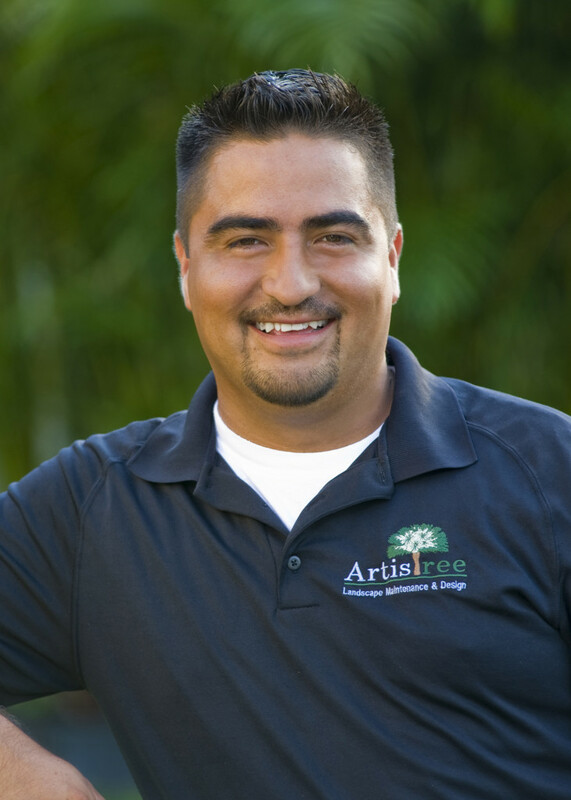 Texas native and former firefighter Jeff Tamayo has steadily grown with ArtisTree since 2009. His attention to detail and dedication to customer service are keys to his success. What has been your proudest moment up until now? In February 2016 when my son Jeffrey was born and pretty much every moment of his life since. What is your favorite task? Fixing anything that requires a tool belt and bench. I’m pretty handy. New York native Alan Williams has worked in the landscaping industry for nearly 20 years and was privileged to have the opportunity to work at New York’s Quaker-Hill Native Plant Garden. 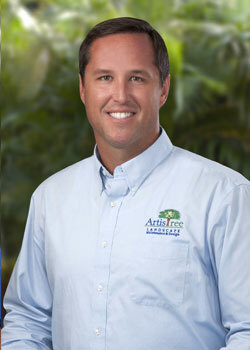 Alan’s role at ArtisTree encompasses two of his passions–Florida’s outdoors and exceptional customer service. What is your nickname and how did you get it? It’s Captain Al. The moniker was bestowed upon me by my fellow model plane enthusiasts. What is the last book you read? The handbook to my new motorcycle. 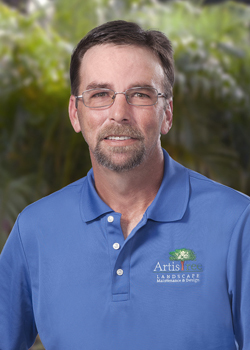 John Ziegler’s 18 years of experience in the landscape industry include account management, irrigation, landscape installation and maintenance. Besides being a landscape maintenance expert, he is also skilled in advising on complete landscape renovations and plant-replacement selections. What’s a favorite vacation? Being somewhere secluded and enjoying nature: fishing, hiking and boating. What TV show could you watch over and over? National Geographic TV shows. 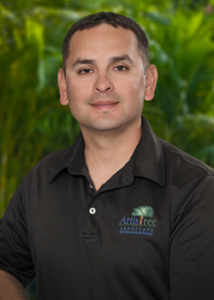 Luis Garcia supervises ArtisTree’s maintenance crews within all its valued communities. 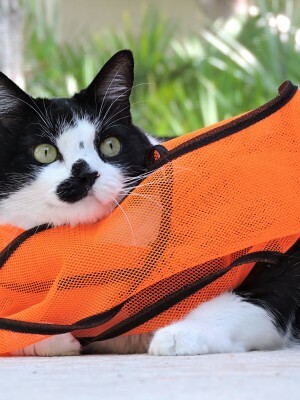 His keen organizational skills help him coordinate schedules to maximize efficiencies out in the field. What is your favorite sound? The voice of Columbian singer, Shakira. Kentucky native Bob Hall has more than 25 years’ experience as a golf course superintendent where he developed a watchful eye for noticing the details in irrigation management. 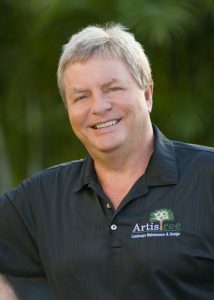 Water conservation coupled with beautiful turf in ArtisTree’s communities is the focus of Bob’s passion for the great outdoors. What is your favorite vacation? Kentucky in October among the colorful leaves while watching UK football or enjoying a horse race at Keeneland. Over the last few years, Leonel Gomez has steadily worked his way up through our Irrigation Department with his problem-solving abilities and excellent communication skills. Why is your job fun? I get to learn something new every day. If you could attend any sporting event in the world, what would it be? World Cup soccer. 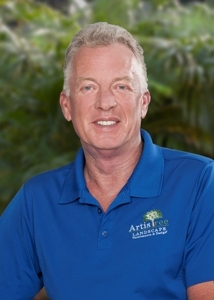 Florida native Tim White tackles the responsibility of coordinating ArtisTree’s pest management and fertilization department with expertise from his decade of service in the landscape maintenance industry. Tim’s love of anything outdoors (surfing, fishing and softball games with his girls) has driven his years of success. My proudest moment: The birth of my two teenage daughters, without a doubt. 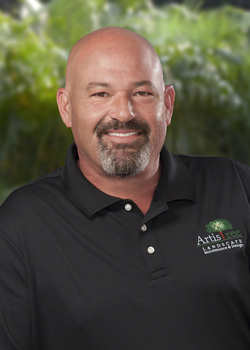 Venice native Randy Cravens has led ArtisTree’s tree department for more than eight years while exceeding customer expectations and deftly handling Mother Nature’s whims. 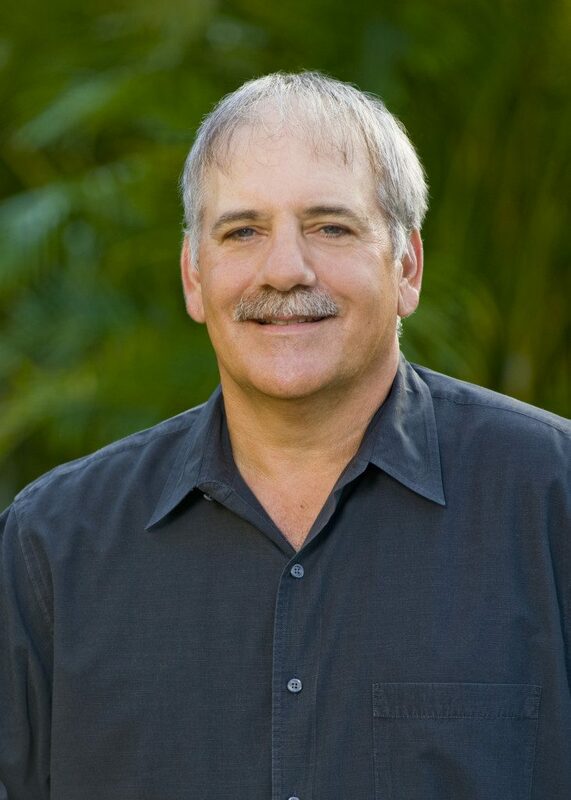 Randy’s passion for the outdoors is only superseded by his passion to transform a community’s beauty with expert tree and palm care. Why did you choose this line of work? I choose the arbor care field because it feeds my desire to work outdoors and gives me a daily challenge to overcome. We get some tall orders that are a delight to be able to accomplish with my crew. What’s a favorite vacation? My favorite vacations always involve a cabin and the mountains. Paul Hurlock relocated to Venice from Ontario, Canada, in late 2006 with one of his two daughters to enjoy the Florida lifestyle. For more than 25 years he was in the automotive fleet business with General Motors. Paul purchases ArtisTree’s equipment and vehicles and manages our fleet maintenance. What hidden talent do you have? I am a great cook. What is the last book you read? Body of Death by Elizabeth George. Joe Mantkowski grew up in the green business. 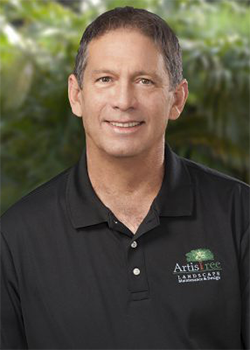 His lifetime of maintaining and growing landscape plants in Venice, FL, coupled with 15 years of leadership and design expertise with luxury home builders, led Joe to be named ArtisTree’s general manager of landscape in 2017. 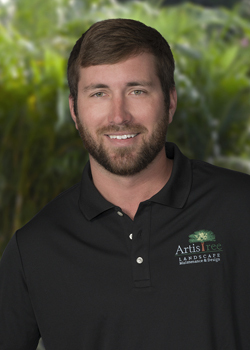 Joe oversees all facets of the landscape division and ensures exceptional delivery of services to ArtisTree’s discerning clientele. What hidden talent do you have? I can play the guitar. If you had a warning label, what would it say? Warning: likes to laugh. 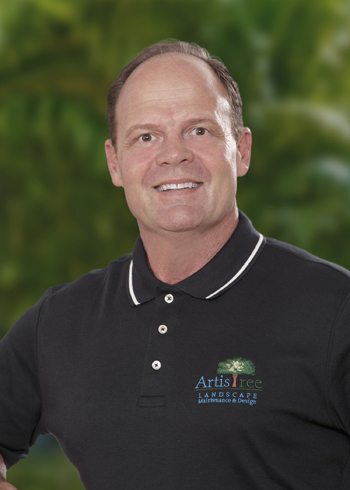 With more than 20 years in the green industry, Kirk Brummett brings master-planning expertise for both commercial and residential properties to ArtisTree. 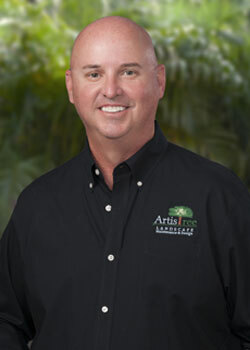 Kirk is a Florida-registered landscape architect and a graduate from the University of Florida with a bachelor’s degree in landscape architecture. Why is your job fun? I love to draw landscape plans, and the flexibility of working both inside and out makes my work fulfilling. Creating works of art never gets old. What is your favorite sound? Horsepower! Alabama native Amy Crutcher received a bachelor’s degree in landscape horticulture from Auburn University’s esteemed program. Amy’s passion is to transform an empty lot into a piece of art and to search out innovative concepts for ArtisTree’s design clientele. If you could attempt any other career, what would it be? I would love to have a small bakery where I’d create custom cakes, cookies and more. What amazing accomplishment did you achieve before age 10? I won a fishing competition for the most and largest fish caught. 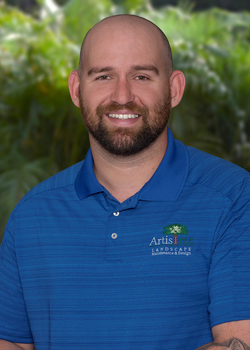 Fort Lauderdale native Chris Culp graduated from Broward County Community College with an A.S. degree in Landscape Technology & Design followed by Business Administration studies at Charleston Southern University. 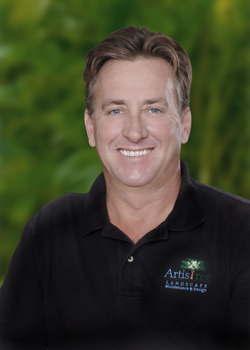 His 30-plus years of industry experience has helped Florida homeowners make the most of their outdoor surroundings through thoughtful design and informed plant selections. What is your favorite task? Cooking — I love to cook. What is your favorite sound? The crackling of a campfire. Clinton Lak brings more than 24 years’ experience in the green industry to ArtisTree and has an outstanding eye for colors and textures. He holds a bachelor’s degree in landscape architecture from the University of Massachusetts at Amherst and is inspired by new home sites where he can develop elaborate designs on open land. What would you like to accomplish before you die? I would like to achieve national recognition for a landscape project. 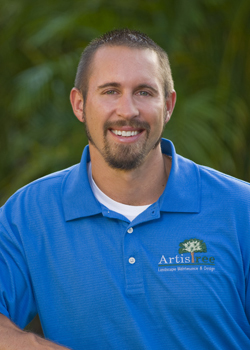 After joining ArtisTree in 2003, Florida native Chris Barber worked his way up from crew leader to Operations Manager. 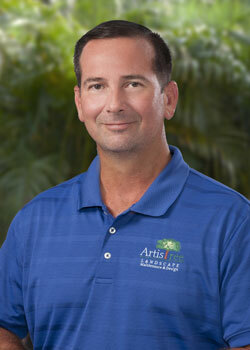 Chris is known for his desire to always do the right thing and for satisfying our valued landscape design customers. If you could attend any sporting event in the world, what would it be? NBA playoffs. 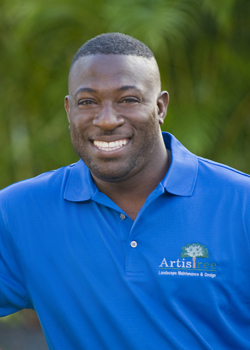 Hailing from Palm Beach County, Conan Michel has more than 15 years of experience in the horticulture industry. 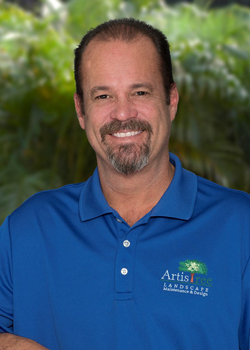 After overseeing ArtisTree’s landscape installation department, he now procures all plant material from nurseries throughout Florida. Conan’s passion for plants and the great outdoors is evident the minute you meet him. 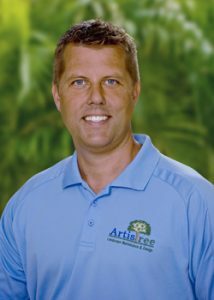 Greg Warr brings more than a decade of hands-on experience in irrigation and landscape lighting installation and repair expertise to ArtisTree’s growing team. Greg acquired his love for getting his hands in the dirt while growing up in South Carolina. His passion for “tracking valves” is definitely a great asset to lead his installation and service crews while exceeding the needs of ArtisTree’s design clients. What is your nickname? And how did you get it? Batman- due to all the stuff I carry on my belt. If you could tell your customer one thing, what would it be? Irrigation is the most vital part of your landscape; treat it well. Nothing gets by on Jenni’s watch. 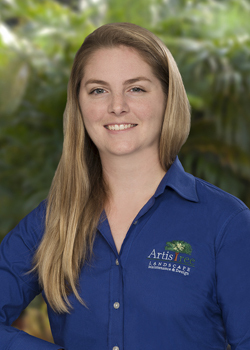 As ArtisTree’s project coordinator, she keeps everything moving in the right direction right up to the point of installation and beyond. From time to time, she’ll also grab her wand and morph into ArtisTree’s Plant Fairy to surprise unsuspecting organizations/individuals with random acts of kindness. In three words describe your average day at ArtisTree. Busy, busy, busy. 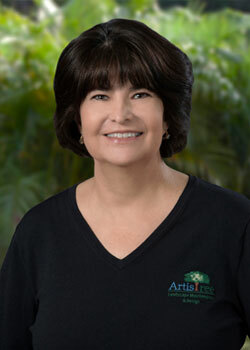 Pam Lasota joined ArtisTree in 2003 after relocating from Atlanta. 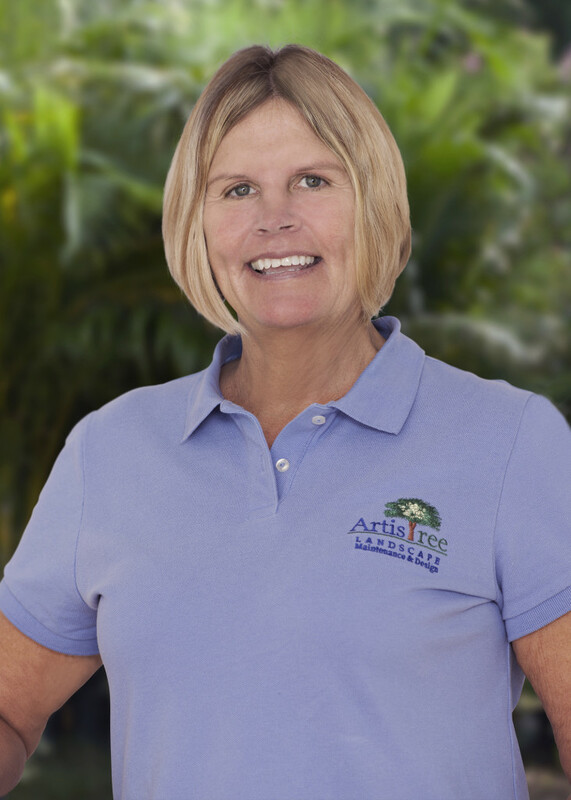 She has dedicated her 30-year career in the horticulture industry while managing offices for landscape architects and maintenance companies. 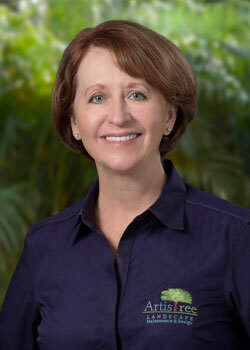 Pam holds an A.S. degree in ornamental horticulture. If you could live in another time, when would it be? The 80s! What is your favorite sound? Waves crashing in the ocean. What is your proudest moment up to now? In 1974, I was the pitcher for an undefeated softball team. Originally from Rhode Island, Dawn Forest has led human resource departments for major data communications and manufacturing companies for more than 25 years. What is your favorite vacation? I love to cruise islands in the Caribbean. Why is your job fun? HR is so diversified and you get to interact with all levels of the company. 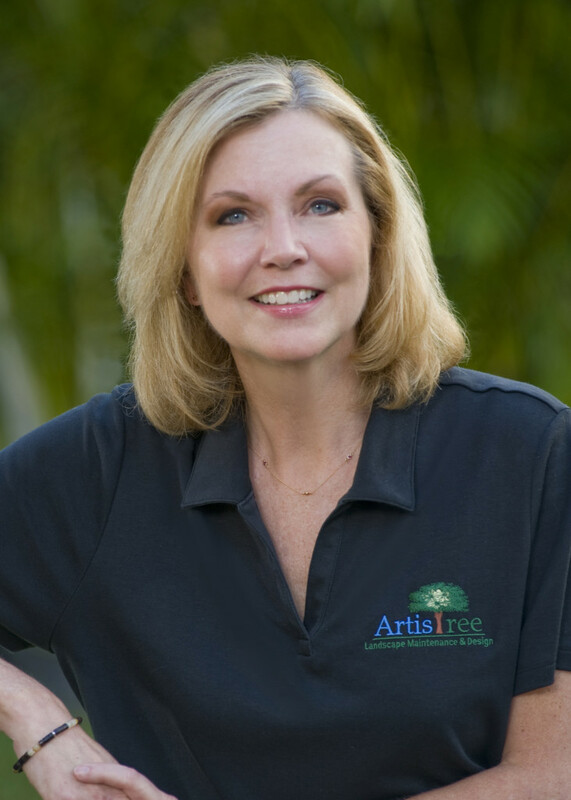 Since joining ArtisTree in 2013, Blanca Tingley has advanced through multiple positions to become ArtisTree’s Human Resources Generalist. Blanca earned her degree in Accounting and Business Administration from the University of Veracruz, and applies her bilingual abilities and business skills to support a variety of HR functions. Why is your job fun? Every day is different in the HR Department. I’m learning all the time, plus I enjoy speaking my native language with a lot of employees. What are you most proud of? My two daughters and their accomplishments. 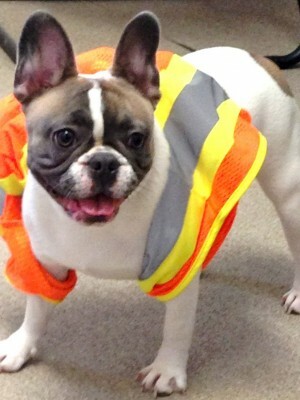 A French bulldog who’s bullish on safety, Molly is big on reading chemical labels after her bad reaction to flea and tick shampoo during puppyhood. When not performing her safety mascot duties, she sleeps and plays at the home of ArtisTree’s Mike Casper. What’s a favorite vacation? Visiting the Eiffel Tower in France, of course. My proudest moment: When my human brother Matthew was born. A longtime cheese connoisseur, Ballantine is big on wearing safety goggles thanks to a close run-in with an Anisomorpha buprestoides (walking stick). When not performing her safety mascot duties, she naps and noshes at the home of ArtisTree’s Debra Morrow. What hidden talent do you have: I’m trained to shake with either paw. Really. 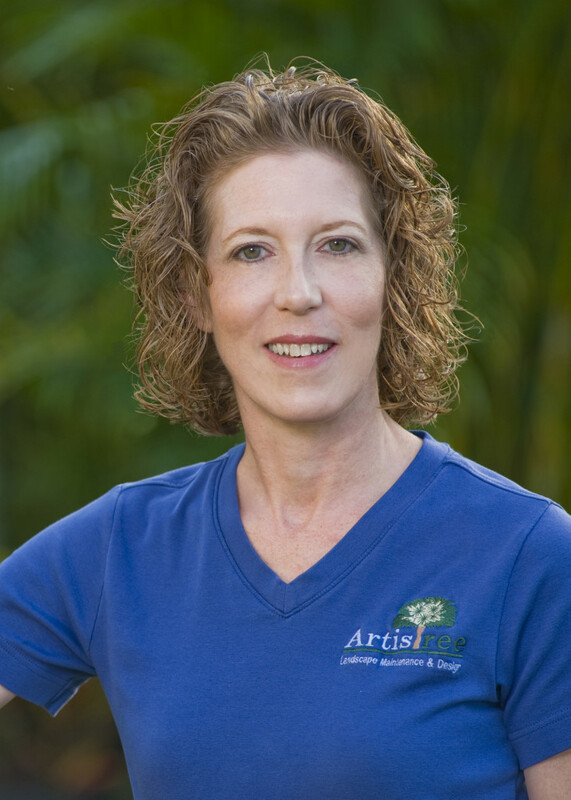 My proudest moment: Being named winner of Sarasota Magazine’s 2009 Best Pet Contest. ArtisTree’s professional administrative team keeps everything running smoothly: Amanda Landis, Blanca Tingley, Sherrie Girard and Jessica DeFina.